The intrigues surrounding the upcoming Anambra gubernatorial contest appear boundless. Following the Appeal Court denial of Andy Uba's application yesterday [November 13, 2009], sources within the immediate family of Andy Uba have revealed to Ukpakareports.com of Andy Uba's repositioning to join the political fray in the uniform of a contester against the gubernatorial elections in Anambra next year [February 6th 2010]. What largely formed the decision of the Appeal Court Judges were the directive and/or appeal by President Umaru Yar'Adua where he insisted that there must be elections in Anambra State in 2010 - was reported that Andy Uba was aware of the said directive, and in turn, adopted a “Plan B” option should the Appeal Court Judges adhere to the President's appeal. On the first level, it is clear Andy Uba has not spoken convincingly or within the earshot of our correspondent of his candidature. However his “Option B” plan has been confirmed to Ukpakareports.com by his immediate family and his close in-laws. In addition, his most ardent and vocal followers within the Anambra State House of Assembly have confirmed to our correspondent that “they have heard of the “Option B” from insiders of the Andy team”. A highly placed source within the Independent National Electoral Commission [INEC] who spoke to our correspondent pegged it a rumor stating “that it is likely to be a rumor”. In the same tone, a one-time media assistant to Andy Uba [Chucks Akunna] downplayed the talk of Andy Uba rejoining the gubernatorial race. This, he said while noting that he was “not sure of whether he [Andy Uba] is running. I have not spoken to him after the judgment. I feel sorry for the young man”. 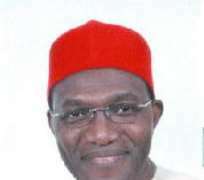 Adding to the uncertainty is one of Andy Uba's major supporters in the Anambra State Assembly [Hon. Tim Egboka] who told Ukpakareports.com in a telephone conversation that he is “not sure of what to say” and that he “cannot say anything at this time”. Also, one of Andy Uba's field marshals by name P. C. Agu added his take to the matter – as he added that 'they' “have not thought of the campaign but will advise against it”. In the same spirit, a PDP chieftain who is a principal member of the Soludo Campaign Organization and a former member of the Andy Uba Organization – spoke to our correspondent warned against Andy Uba's emergence as a candidate in 2010. In his words, he warned “that Andy Uba will be making a grave mistake if he leaves PDP” for another Party. “He will only make Soludo's victory all the sweeter and easier”. While the uncertainty swells around Andy Uba's rejoining of the gubernatorial race in 2010, it remains equally uncertain of which political party the former Peoples Democratic Party [PDP] flag bearer would mount to rejoin the contest. Unconfirmed sources point to his existing relationship with the Labor Party [LP], the Congress for Democratic Change [CDC] Party, the Accord Party [AP], and the Peoples Progressive Alliance [PPA], as indicative of the choices available to him. A close political ally of Andy Uba told our correspondent that Andy Uba remains hesitant to leave the PDP to join another party. He notes that Andy Uba is aware of the underlining religious undertones of the impending campaign season - that all of the major candidates in the persons of Dr. Chris Ngige, Prof. Charles Soludo and Hon. Uche Ekwunife, are of the Roman Catholic denomination. Andy Uba is of the Anglican denomination. With this, the source notes that Andy Uba sees a vacuum he believes he can exploit. In his calculation, a segment of the voting mass may cast their vote according to their Christian denomination. Adding credence to the unconfirmed reports is Orji Uzor Kalu's angling and courting of Andy Uba. Ukpakareports.com has it on firsthand authority that the Chairman Board of Trustees of the PPA [Orji Uzor Kalu] had previously offered the gubernatorial ticket to Andy Uba – of which Andy Uba did not turn down but told Orji Uzor Kalu of his desire to pursue his 'mandate' through the Appeal Court. However, the presence of Hon. Uche Ekwunife's candidacy on the grounds provides a prominence does not resemble that of a placeholder candidate. She has dominated the streets and billboards with posters and the-likes in a manner depicting a serious candidate with real intentions at competing in the race next year. Her campaign headquarter tells the complete story. With this development, informed political speculators believe Andy Uba may chose to remain in the PDP to frustrate the emergence of Chukwuma Soludo or decamp to either CDC or LP to contest for the governorship of Anambra again.